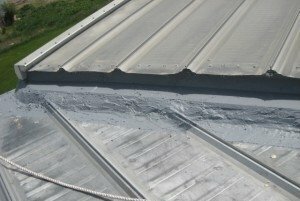 TMI Coatings applies asphalt based roof coatings and elastomer coatings to concrete and metal roofs. 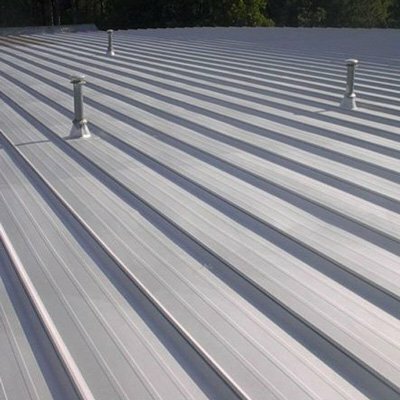 Asphalt based: TMI applies premium grade industrial maintenance coating over the entire roof field to ensure uniform coverage. 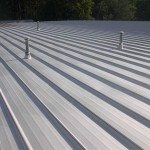 This aluminum pigmented coating reflects the heat, and protects against mild acid and alkali fumes. This coating is aluminum-white in color, has a blend of natural and synthetic fiber reinforcement and asphalt. This coating comes with a 10-year rustproof warranty. 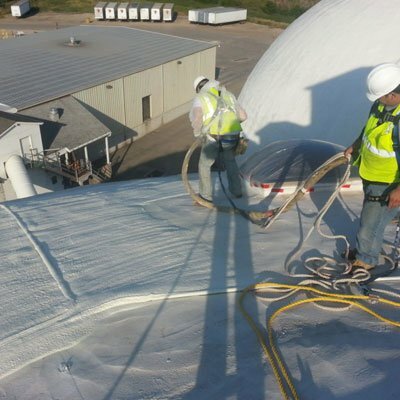 Elastomeric roof coating: TMI applies asphalt-based urethane elastomer roofing systems. 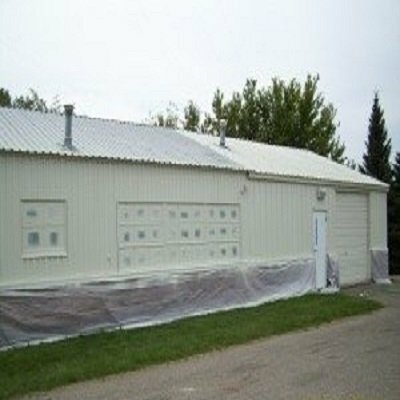 Two full coats are applied in a heavy-duty, thick-film manner. Elastomeric waterproof coating has a high elongation factor for improved and long-term flexibility in changing temperatures. 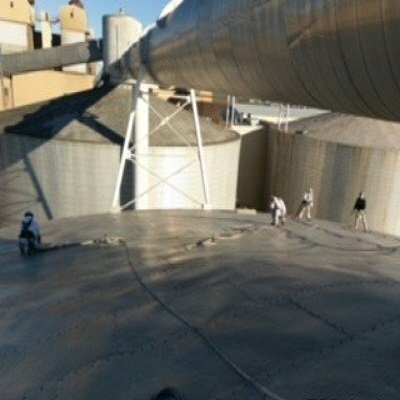 TMI can incorporate aggregate for slip resistance for safety and to extend the life of the coating. 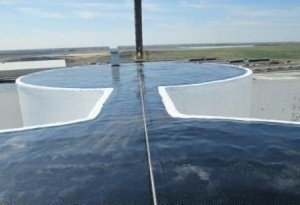 Asphalt-based urethane roofing system provides a seamless, monolithic membrane. Seam Sealer: TMI applies seam sealer to the seams and fastener heads. Thoroughly sealing around all roof penetrations and curbs, i.e. stacks, vents, etc. for a thorough, watertight seal. Foam Insulation with elastomeric top coat: If required, TMI applies foam bond primer. Seamless sprayed-in-place urethane foam insulation is applied. Foam insulation will thoroughly seal all cracks and crevices. The foam insulation has an R-value of approximately 6.8 per inch. Foam insulation will reduce your heating and cooling costs. After sprayed-in-place urethane foam insulation is applied, a waterproof coating is installed. 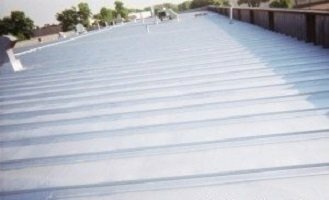 Elastomer over a metal roof: TMI applies elastomeric waterproof coating to the entire roof area. The material is elastomeric and has high elongation which means it will withstand expansion and contraction and will not crack, therefore maintaining a waterproof seal. The coating is attractive, watertight, and long lasting. 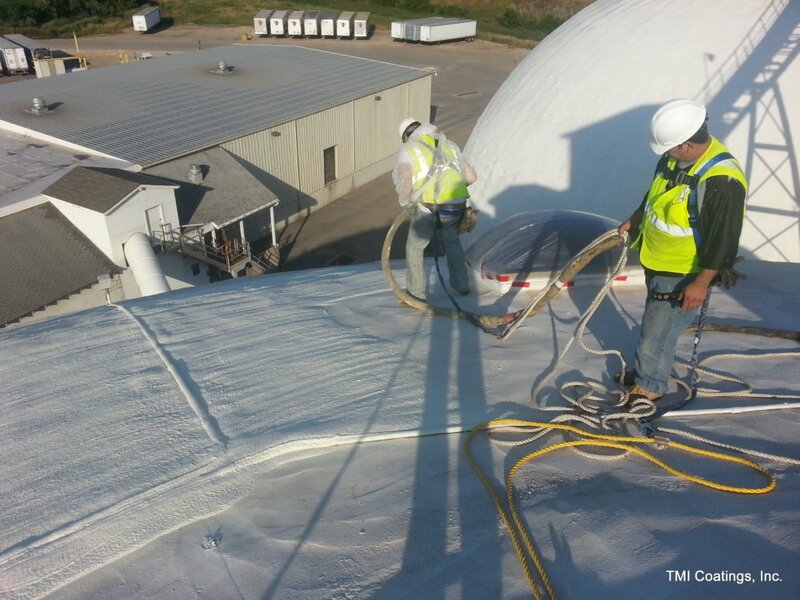 TMI Coatings completed roof coating work at a Co-Op facility in North Dakota. The roof areas were leaking, corroding and in need of repair. TMI field crews began by pressure washing the roof and abrading rusty areas using stiff bristle brooms and sanding pads. When the surface preparation was complete, the project team applied a urethane elastomer coating around all seams and penetrations to provide a watertight seal. 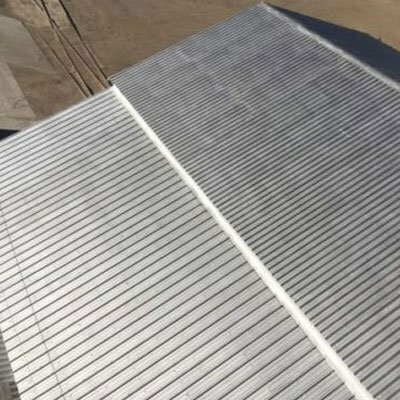 The team then coated the entire roof with a premium grade asphalt-based aluminum roof coating, comprised of asphaltic oils, fiber reinforcement and aluminum pigment. The coating reflects heat and prevents corrosion. TMI provided a long term leakproof and rustproof warranty on this job. 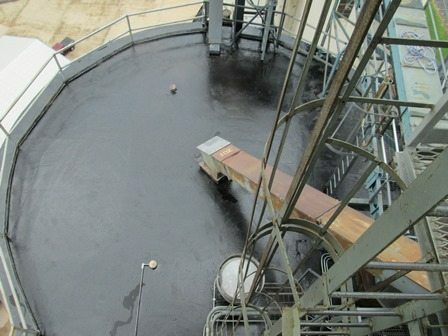 TMI Coatings applies asphalt-based roof coatings and elastomer coatings to concrete and metal roofs. After pressure washing to clean a sloped metal roof, TMI applies a seam sealer over all fasteners, seams and around roof penetrations to seal these potential leak areas. 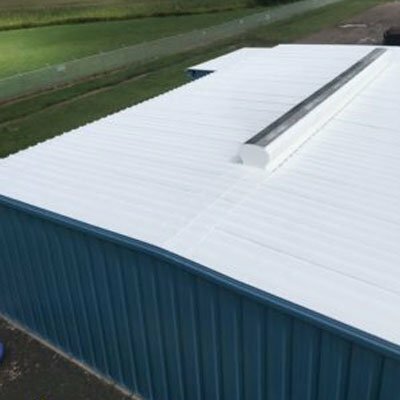 Next, an asphalt-based premium grade industrial maintenance coating is applied over the entire roof for uniform coverage. This results in all seams and fasteners receiving two full coats. This asphalt-based coating has a blend of natural and synthetic fibers and aluminum pigment, reflects heat, and protects against mild acid and alkali fumes. This rustproof, waterproof coating may come with a long term warranty. The roof coating works well on rusted metal roofs. TMI coated a machining tool roof for Norlen, a metal stamping company, that was showing signs of rust. The 23,800 sq. ft. sloped, corrugated metal roof was water blasted to remove surface debris and then further hand tool cleaned. Previous coatings around roof penetrations were removed and TMI’s crew installed new protective coatings. 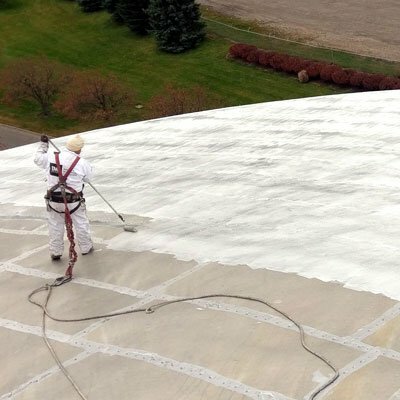 A fiber-reinforced, asphalt-based coating was applied to the entire roof. Work was performed in July of 2006 and a two year rustproof warranty was provided. The customer later called about a different area including a trough at a roof juncture where two buildings join and leaking was a concern. TMI’s crew returned to pressure wash, hand prep and grind rust areas; TMI applied two coats of an elastomer coating to the trough for a seamless waterproof solution.